Om designet, inspirationen og produktionen • Margit K.
Hjem » Om Margit K.
Margit K is a Danish brand with a vision to make the world more aesthetic and sustainable. Founder and designer Margit Korshøj creates unique slow fashion scarves and home textiles. With roots in the Scandinavian Design Tradition, she draws inspiration from nature and architecture, and she is experimental in her work integrating old textile techniques as Ikat-weaving and creates new expressions of those. The hand-drawn patterns are transformed into unique hand-woven or hand printed textiles. She creates quality products in natural materials – with a long lifespan. 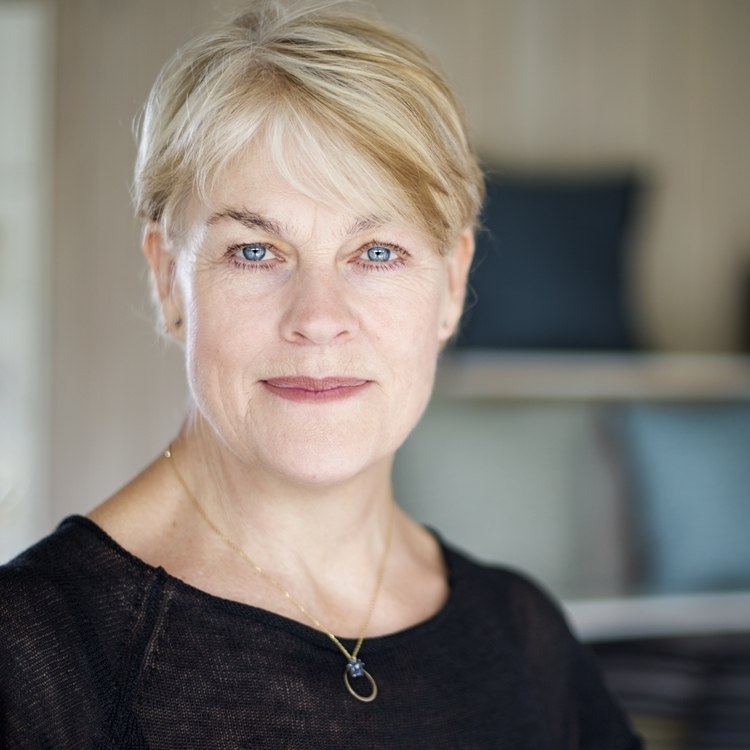 Margit K. has roots in the Danish design tradition. She designs unique functional textiles, with a desire to bring beauty and daily pleasure for the user. The textiles are handmade out of natural fibers, and they have longevity in both design and quality. The textiles are manufactured under good working conditions, based on our Nordic values. With an eye for the larger context of mankind and the good life – sustainability is a must. The scarves are all unique because they are handmade – and the individual who has woven or printed the scarf has left their touch on the scarf. The scarves are printed by hand with silk frames, and each item is a little different. It can be compared with numbered lithographs. The weaver who weaves the scarf, also has her own individual weave style, which is reflected in the product. – The intention is that when you wear a soft Margit K. scarf – you are making your life and the world a little more beautiful.